SKU: N/A. Categories: Clothing, Flirtini Print, Sleepwear. Tags: camisole. sleepwear, print, ruffle. Fresh and flirty! Cool off on a hot evening in this strappy and feminine camisole. Cups have soft gathering at the under bust for a flattering fit. The straps are adjustable with clear plastic sliders. 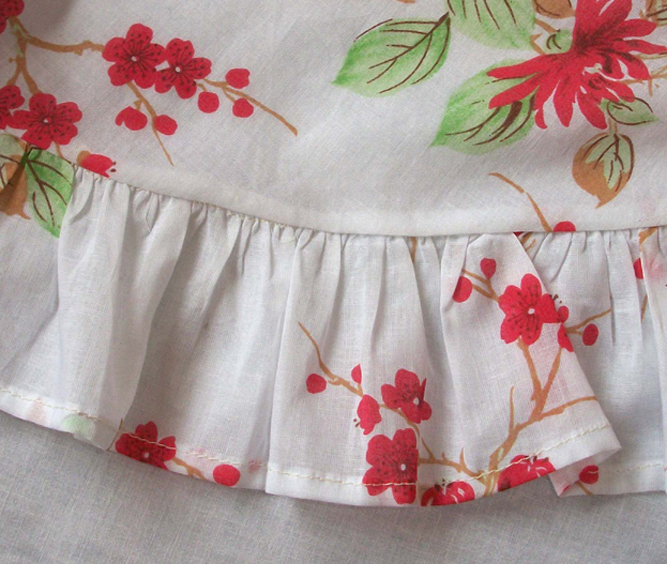 A graduated ruffle is the finishing touch to soften the waist.